Conference first-timer Frances Cooper reflects on her experience. I know from the forums that some people were a little nervous as well as excited prior to the 2017 SfEP Conference, even if it wasn’t their first. I was looking forward to it, though, as an opportunity to meet in person a lot of people I had ‘met’ on the forums. And to meeting again a few friends already made at the London Book Fair in March, or in my local group. And to gleaning from everyone as much wisdom as I could that will help me to provide a good service and make a living. 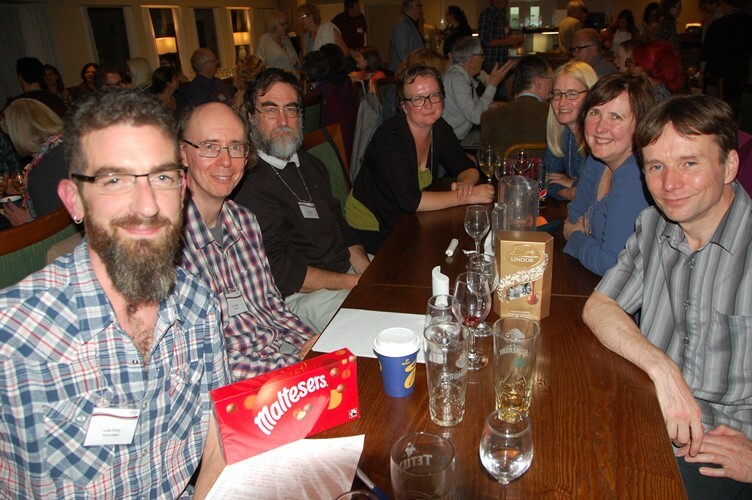 The winning team in the 2017 conference pub-style quiz. Photo credit: Hazel Reid. I arrived on Saturday evening just in time to acquire my name badge and a welcome glass of first-timers’ wine, but not in time to meet the directors, before we were called in to dinner. In the queue, I was immediately greeted by a fellow Shropshire-based member (hello Jill) I had not met before, and that was really the tone for the conference. I met a lot of positive, interested and friendly people. Time and again, I struck up conversations with the person next to me and made new friends. No doubt all those who attended had several professional objectives for being there related to career development, running their business, learning new skills, making a (better) living. But what stood out for me was that many – most? – were taking the opportunity to catch up with friends. All around me on Saturday evening were people spotting each other, waving, hugging, catching up. For all the communications apps and social media available, there is nothing quite like catching up in person with people who understand your world but live in another part of it. So many genuine friendships are formed amongst people encountered as part of the job, but often living far enough apart that the friendship is for the most part conducted remotely. The conference was perhaps the only opportunity in the year or for several years to reconnect with colleague-friends. With so many several/many-timers catching up with each other it would have been easy for us first-timers to find ourselves in a corner not liking to interrupt. But no; this was a SfEP conference and skulking in corners was not allowed. Everything was well organised, not least for us first-timers. From the pre-dinner opportunity to meet the directors (even though I missed it), to having a spot on our name badges, effort had been put into ensuring that we would feel included in the SfEP community. Several/many-timers could ‘spot’ us, engage us in conversation or incorporate us into their group; and so they did. Or we could spot each other and share our first-timer ‘spotty’ experiences to break the ice. The formal parts of the conference: the opening and closing talks, and the workshops and sessions, were all thought-provoking and often entertaining, and I learned a lot. I have been able to put things I learned in the Word Styles session into practice immediately. I learned about charging what I’m worth, and different perspectives on approaches, tools that help and what to consider. I learned that PerfectIt will remain elusive, for me, for a little longer yet. Every session contained some pearls to help me progress. There was a lot to pack in to make the most of the time available. But there was still time to look out for and chat with friends, meet new people, discuss experience and plans, hear different ideas and perspectives. I left the conference more informed and with an increased sense of being part of a society of people I respect and like. I can only think of two regrets: firstly, that I couldn’t have gone to more of the sessions. I think Lightning Talks will be top of the list next time. Secondly, there were several people I didn’t speak to for as long as I would have liked, or at all! Where did the time go? Attending the conference was a big investment for me, in terms of money and time. But for all I have gained initially, I have a feeling that the investment will be paying off for years to come. And it was fun. 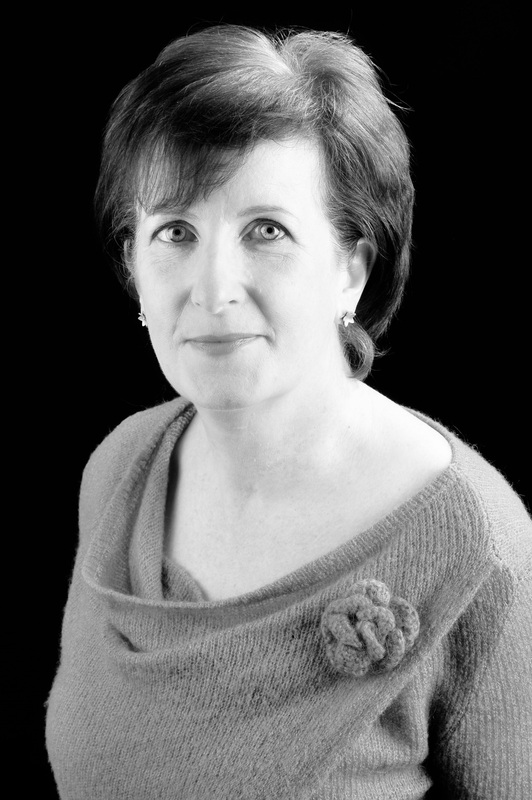 Frances Cooper grew up in Buckinghamshire and attained a BSc in Biological Sciences from Sussex University. 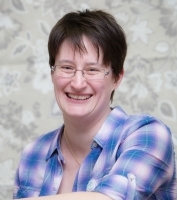 A varied career has included retail management, a year of TEFL in Greece and temping before she moved to Scotland to begin a 24-year career in nature conservation, working initially for Scottish Wildlife Trust, then Hampshire & Isle of Wight Wildlife Trust, and finally 13 years as Biodiversity Officer with Dartmoor National Park Authority. When a lengthy project ended it was time for a change. Frances joined the SfEP in late 2015 and embarked on SfEP and PTC training to get a sound foundation. Frances is less than a year into her career as a proofreader and still working towards establishing herself. 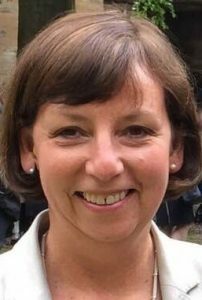 She attends SfEP Three Counties local group meetings and is active on the SfEP forums in order to maximise the benefits of SfEP membership. This entry was posted in Conference and tagged conference on October 24, 2017 by Sue Browning. Hello, my name is Amy and I am a forum lurker [wave]. I’ve been a member of the SfEP for four years and, while I read the forums almost every day, I am more than a little embarrassed to say that my first forum post was to ask people if they wanted to be interviewed for this article. But in doing so I did break my non-posting streak (yay!). My lack of contribution is not because I think there’s nothing for me to learn or that I never have any questions. Au contraire: I’ve learned (and continue to learn) some brilliant stuff from the forums. They are an excellent source of support and information in what can often be a solitary profession. I also have questions on a daily basis and quite frankly, my office orchid is a horrible conversationalist. What has, in the past, stopped me from posting is (a) a basic fear of sounding like a dunderhead or (b) there being a typo or grammatical inaccuracy in my question. I’ve lost count of how many posts I have started and deleted as a direct result of these fears. From the responses I got to my forum post, I believe there is a robust community of lurkers out there. I also believe there is one overwhelming barrier to contributing to the forums: fear. There appear to be two types of forum-related fear: (a) of making a fool of yourself with a silly question or a mistake and (b) fear of others’ reactions and tactless replies. While the forums are a rich source of support and insight, it appears they are also a source of much angst for us lurkers. Ally Oakes, for example, told me that she ‘didn’t dare’ ask anything on the forums for months after joining the Society, partly due to fear and partly due to a feeling of not having anything to say. Claire Langford has posted in the forums a few times in the last eight months, but still feels hesitant. She says that the limiting factor for her is experience: ‘I very rarely post a response to a question, largely because I don’t yet feel I am enough of an authority to give advice to other proofreaders and copy-editors.’ When she does post, she will ‘check, re-check and check again’ any posts due to an ‘agonising fear’ of there being a spelling mistake or grammatical error. Even the best editors make mistakes. The forums are a private space away from prying eyes, and the community is supportive enough to overlook these things. So I wouldn’t worry about the odd typo slipping into your text – it happens. Don’t let this fear hold you back from posting questions, as you’ll be missing out on the collective wisdom of hundreds of experienced editorial pros. This is a sentiment echoed by Claire and Ally, who variously describe the forums as ‘a godsend’ and a source of really useful snippets of information. According to Ally, ‘The fear is natural and isn’t a bad thing; it’s a part of starting something new.’ I too can attest that I have only had very helpful and thoughtful responses to my literal cry for help. Many members have told me that they feel access to the forums is one of the main perks of SfEP membership. Statistics kindly provided by John show that there are 1,804 forum users, 32% of whom are active, which means they have logged into the forums at least once in the last 30 days. You can then figure out how many fellow lurkers there are when you see that only 231 active users have at least 50 posts. This shows something that we all probably know already, that some users feel more confident posting than others. Which leads nicely into the second fear – that of replies that may make you feel foolish or upset. Thankfully, these seem to be few and far between, but there are members who have been put off contributing to the forums as a result of an ill-considered response that was perceived to be unhelpful or unkind. If you look at the forums you will see questions from people of all membership levels. There are few who believe they have all the answers, and the forums are a space in which to seek advice and information from virtual colleagues. It is an opportunity we should all make the most of. How can you beat the forum fears? So how can you beat the forum fear and confidently make your first post? My first piece of advice is not to overthink it. One Advanced Professional Member suggested I ask about the best kind of printer – it doesn’t have to be a complex or high-brow question to get you started. Secondly, don’t hover over ‘Submit’ for too long. The longer you wait, the more likely you are to press ‘Delete’ instead. Check out the link at the top of the Newbies page, which gives you a list of hints and tips to get you started. Make use of the search function before posting. Your topic, or even specific question, may have already been discussed. Even if it’s not exactly the answer you need, it might help you to tailor your question. Given the calibre of the members of the SfEP, it can be daunting to contribute to a conversation, but my advice is, don’t underestimate the value of what you can add. Even if you are a relative newcomer to the industry, your life experience or unique insight could be really valuable and much appreciated by the community. And a new voice is always welcome. So, when it comes to the forums, in the inimitable words of Dr Susan Jeffers, feel the fear and do it anyway. 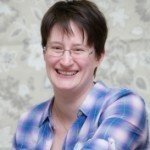 Amy Armitage-Reay is an ex-forum lurker and Professional Member of the SfEP. 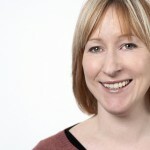 She started her professional life as a reporter and has run Ethos Editing (www.ethosediting.com), which specialises in creating academic content, since 2009. This entry was posted in Freelance life, Getting started, SfEP membership and tagged advice, SfEP forums on September 28, 2017 by Sue Browning. Gemma Greenhalgh looks at the benefits for the self-employed home-worker of occasionally getting out of the house and using your local coworking space. Up until 2008, I had only ever been out to work. By that I mean out of the house and situated elsewhere, mainly in an office. Nine to five. Idle chat around the water cooler. Nipping out for a sandwich at lunchtime. Actual shoes on my feet (instead of slippers). You catch my drift. That year, 2008, introduced me to my first ‘home-based’ job. I was an Independent Living Adviser for a charity based in Nuneaton – visiting disabled people in their own homes to give advice about employing their own support staff. And I was working from my own home. ‘Get up and get dressed as though you’re going into the office’ one colleague advised. ‘I hate it; I get lonely and depressed’ someone else bemoaned. I was getting mixed messages from my new colleagues but was determined to keep an open mind. Luckily my partner and I have a spare room so I set up my desk on one side of it. I liked it. Friends and family made constant reference to lie-ins, working in pyjamas and watching daytime TV. I laughed all this off – what a notion! Fast forward nearly a decade and I am indeed writing this at 8.15 a.m. in my PJs. I do occasionally watch Three in a Bed at lunchtime. I might sleep in if the day before was particularly long or fraught. I have been known to work with a cat or chicken on my knee. I still get the job done. My working day doesn’t suffer. The frontiers between ‘home life at home’ and ‘work life at home’ are a constant blur and balancing act. Family members ask me to run an errand for them because, ‘such and such can’t do it as they’re at work.’ Is this because they’ve heard about the daytime TV and assume my day is ‘informal’ and ‘unstructured’ so a small errand won’t hurt? My retired neighbour recently knocked on my office window and wanted my opinion about her hand-knitted socks. I was frantically trying to meet a tight deadline and had to shoo her away. I texted her later to apologise. ‘I forget you work from home’ was the response. How can I avoid or adapt to such things? Should I be more strict with my ‘relaxed’ approach so my nearest and dearest take my vocation more seriously? Can I not just benefit from the advantages of being home based without others taking advantage? Shall I just throw a strop, form a barricade around my office and insist I’m left in peace and quiet (until I want to watch the TV at lunchtime that is)? My stint as an employed and home-based Independent Living Adviser lasted for three years. So far, I have been a self-employed, home-based proofreader and copywriter for over four years. To help with the questions posed above I have been thinking about alternatives to the ‘office-in-the-spare-room’ scenario. It turns out that coworking spaces are pretty good! You can do that thing where you actually talk to people. You can escape the cat. Dressing gowns are a thing of the past! Who knew?! I tried not to think about my slippers getting cold and lonely in the hallway and got on with: chatting to real-life human beings; looking at different walls; gazing out of different windows; having a slightly longer than average lunch break; and not worrying about domestic irritants like a speck of dust on the sideboard. Oh, and I did get some work done too. There are coworking spaces around the country and they charge around £15–£20 per day/£8–£10 per half day outside London (some charge by the day and others by the month), which generally includes Wi-Fi, drinks and snacks, a work/desk area, toilet facilities and plug points. Some also provide bookable meeting rooms, monitors, quiet zones, printing, business advice and more besides. I live a good 30 minutes away from Nottingham (longer in rush hour) so it’s not something I want to take advantage of too often. There are libraries and cafes (but no coworking spaces!) much closer that offer a similar break from the norm. It’s an alien feeling to get stuck in a traffic jam when you’d usually be making your jam on toast in the morning. However, coworking can offer many advantages to the home-worker and it’s worth considering if you’re hankering for a change of scene, human-that-isn’t-family interaction or a feeling of belonging to a self-employed community. Dee Miller, owner of Minor Oak Nottingham Coworking, sums it up perfectly: ‘Coworking gets you out of the house, working at an office you choose, in a supportive and diverse community of real-world colleagues.’ Dee has written about the benefits of coworking on the Minor Oak website, and from reading her words you get a real sense of coworking as a saver of sanity, an incentive to get out of the house and a place to meet people and share ideas and experiences. There are many coworking spaces across the UK, albeit predominantly in urban areas, and it is easy to research the good mix of local coworking opportunities online. It is handy to know about such spaces and make use of them as and when it suits you, your day and your workload. Like many aspects of self-employment, coworking is flexible. It offers a modern solution to the isolation felt by many self-employed people and seems to bring the home office and the traditional office together in a new way. The issue of the hyphenation or non-hyphenation of the word ‘coworking’ is contentious. Google ‘coworking and the hyphen’ and you’ll see what I mean! 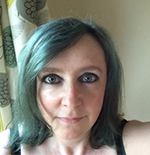 Gemma Greenhalgh has run GG Editorial Services since 2013 and is a professional member of the SfEP. She loves volunteering for numerous charities, including the British Hen Welfare Trust on their ex-commercial hen rescue days. Her favourite part is waving off the ‘spent’ hens, which were destined for slaughter, to their new free-range life. She is a massive fan of the Brontë siblings, particularly Emily. Wuthering Heights is her favourite book and Haworth is her spiritual home. This entry was posted in Freelance life, Working practices and tagged coworking, freelance, working from home on September 14, 2017 by Sue Browning. 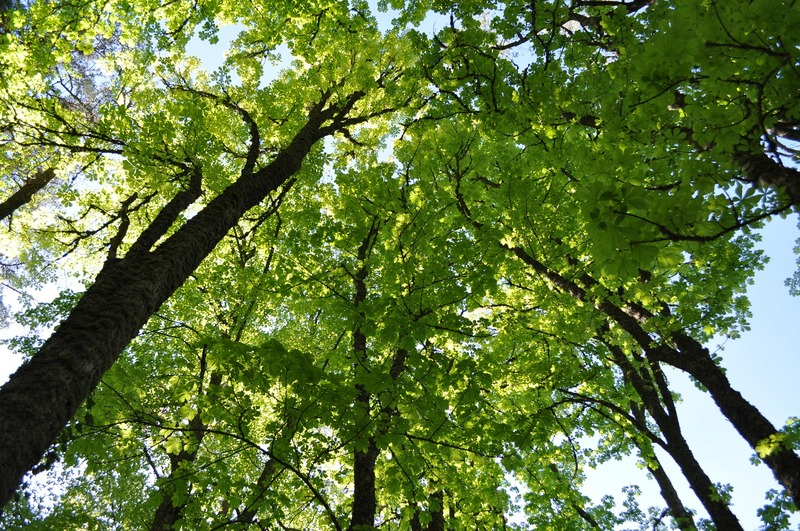 In a follow-up to her popular blog post last year, Abi Saffrey has some ideas for how introverts can find spaces to breathe to help them avoid being overwhelmed at the SfEP conference. Last year, I (with substantial assistance from two fellow introverts) put together A survival guide for introverts, in preparation for the 2016 SfEP conference. I am, ahem, embarrassed to say that I ignored most of that advice and I came away from the conference exhausted and not wishing to speak to anyone at all about anything at all for a week or so. During the conference, I did take a bit of time out for myself – a walk around the Aston campus and a bag of Minstrels in front of rubbish TV – but not as much as I’d planned. I was having a ball! I learnt stuff, I met so many smart and funny people, I saw a mouse in the dining room, I danced till after midnight, and I attended some inspiring sessions. I was getting energy from those around me; perhaps, very slowly, I am becoming an ambivert (calling myself an extrovert would be extreme). I recently watched a fascinating TEDx talk by Brian R. Little, an extremely introverted university professor specialising in the study of personality and well-being. He talks about how the sensitivity of our neo-cortex is key to whether we display introvert or extrovert tendencies – some of us (introverts) have an optimum level of stimulation way below that of others (extroverts). And often when an introvert and an extrovert meet, they find themselves in a painful impasse where the extrovert tries to raise the level of stimulation and the introvert tries to lower it. As the introvert withdraws, the extrovert talks more, moves more, both of them trying to keep their neo-cortex happy. One of Professor Little’s key concepts is that of restorative niches, the time out I mentioned above. 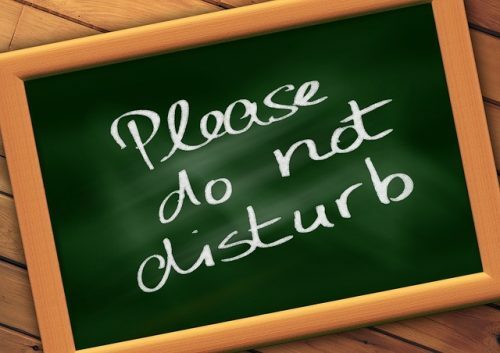 Everyone needs a restorative niche to bring their neo-cortex back to its optimum level of stimulation: introverts need down time; extroverts may need more interaction and more action. Extroverts may well go from one highly stimulating situation into another – and create one if needs be by turning their music up loud. (I like loud music in my down time, but I’m still not an extrovert.) Introverts are more likely to indulge in meditation, a walk or staring into the middle distance. So, with the 2017 Conference fast approaching, I’m starting to think about the restorative niches I will be able to seek out over those two and a half days. I’m starting the weekend with a visit to the spa at Wyboston Lakes, making the most of the facilities that the conference venue has to offer. This should give me the break I need to transition from day-to-day life to conference mode, and help me cope with the physical tension that does arise when I’m out of my comfort zone. This will mean that I can’t go to the speed networking session. Extreme introvert part of me is relieved: I’m pretty sure every introvert twitches at those two words. Speed. Networking. Social part of me is sad to miss out on the opportunity to be introduced to peers in a very directed, structured environment. On the SfEP forums, several conference attendees have talked about this session and the personal conflict they have about it – but all have acknowledged that the benefits far outweigh the anxieties. Some have expressed relief that it’s early on in the conference rather than at the end – when their neo-cortex could well be buzzing like ten wasps in a tiny jam jar and they may not be able to do more than nod and perhaps blink. I’ll also be making the most of the free time in the evenings, and I won’t be rushing down to the bar well ahead of dinner. The accommodation and grounds look lovely, so I’ll probably go for a walk before or after breakfast, and sit in my room and stare at the wall for a while (note to self: pack Minstrels), or put on my headphones and turn up the volume. Or I might just hide in a toilet cubicle for most of a tea break. All that said, I’m going to take things as they come. Maybe I’ll want to be first at the bar, maybe I’ll even manage a coherent conversation over breakfast. It’s okay to be a pseudo-extrovert for a while, socialising and learning with the tribe. When I get home, I’ll have a couple of days with limited stimulation to help my over-worked neo-cortex to recover, never wanting to talk to anyone ever again. And then I’ll be ready and raring to book my space at next year’s conference. This entry was posted in Advice, Conference and tagged conference, introvert on September 1, 2017 by Sue Browning. Some readers might remember Helen Stevens’s fine April post about the Judith Butcher Award. It is presented to someone who makes or has made a ‘clearly identifiable and valuable difference’ to the SfEP. Each year all Society members are asked to nominate candidates for the Award, saying why they think their nominee should be considered. Quite a few members sent in nominations this year and the committee has weighed and sifted the excellent claims of the eight members nominated. They’ve winnowed the list down to three. Now we have to wait until the Conference gala dinner on 17 September to find out who has won. The candidates on the shortlist are Lesley Ellen, Louise Harnby and Gerard Hill. 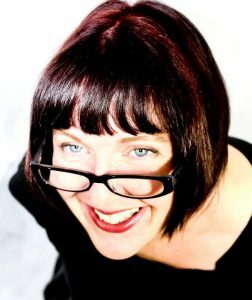 Lesley Ellen has been nominated, partly for organising the successful 2017 mini-conference in Scotland, partly for being ‘the driving force behind the Edinburgh local group’, which she helped revive after an earlier Scottish mini-conference in 2014, and partly for setting up the Edinburgh Editors’ Network. 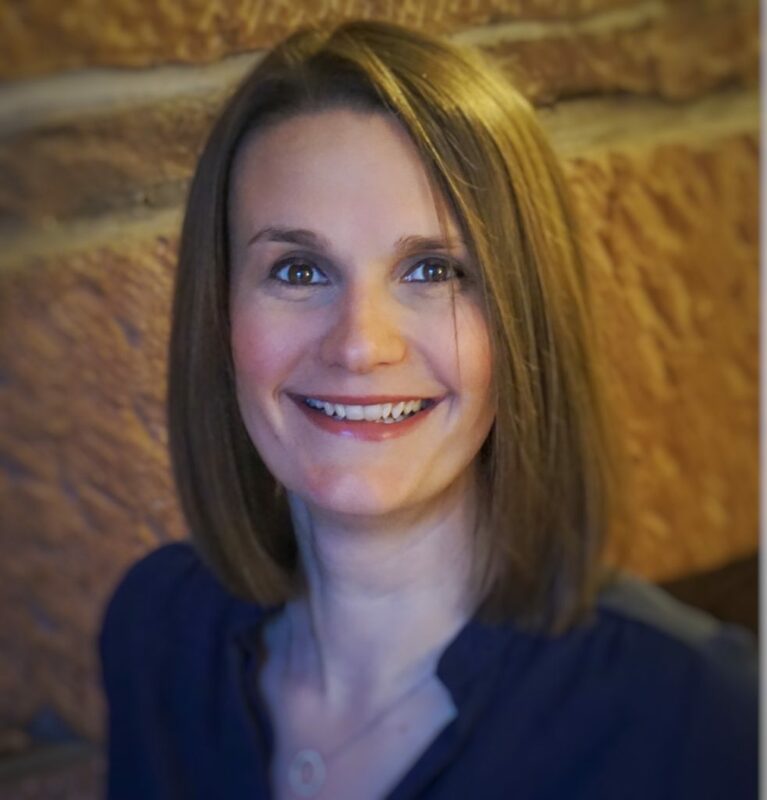 Nominators describe her as ‘being so supportive and encouraging to new members in the Edinburgh area’, and as ‘an exemplar of SfEP membership’. 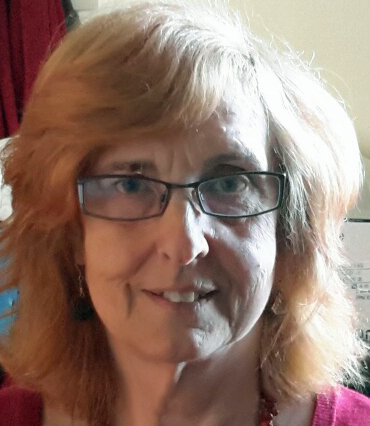 ‘She has helped me several times with editing-related queries,’ writes another nominator, and yet another says Lesley ‘constantly promotes the group through Twitter and forum activity’. I’m sure I don’t need to remind readers of Louise Harnby’s blog ‘The Proofreader’s Parlour’ or ‘her ongoing support of all proofreaders and editors, through her free provision of PDF stamps, the vast array of resources available freely on her website and also … her books’. These ‘are the most visible of many efforts on behalf of members, as are her always thoughtful, thorough and polite posts on SfEP forums’. She sets ‘a great example by showing us how best to market an editorial business’. Gerard Hill has ‘been a huge and positive presence … endlessly enthusiastic, approachable and supportive’. 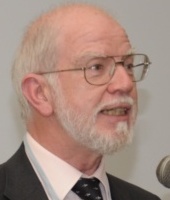 Members who have successfully completed the Society’s mentoring programme already have an immense debt of gratitude to Gerard, and having put in the maximum permitted eight years on the council, he has retired … to become the Society’s chartership adviser. This promises to make an enormous contribution to both the members of the SfEP and the wider editing community. Lest we forget, to encourage members to send in nominations (it’s important! The Award can only be given to people put forward by the membership) the Society offered a £30 book token to the member sending in the first nomination drawn out of a hat. (Actually, it was a pile of scraps of paper drawn out of a mug.) The lucky winner was Sarah Campbell: thanks for taking the trouble, Sarah, and I hope you enjoyed the book(s). The committee has put forward these three candidates. Now one of them will be given the honour of receiving the Judith Butcher Award at the conference gala dinner in Wyboston Lakes, Bedfordshire. I’ll see you there, I hope! This entry was posted in Awards, Conference and tagged conference, Judith Butcher Award, SfEP on August 23, 2017 by Sue Browning. 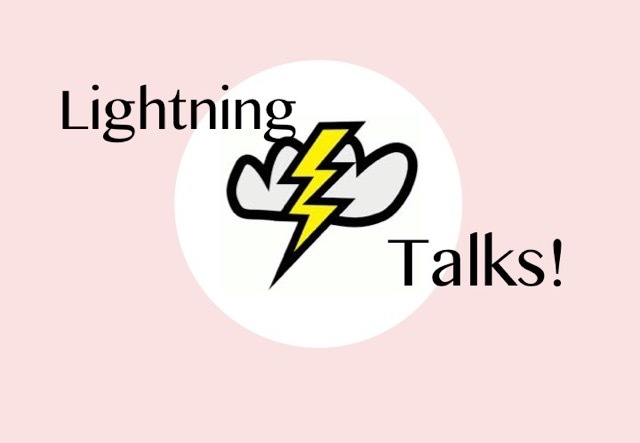 Last week, in our Tips for fearless lightning talkers, Susan Milligan looked at how to prepare and get the most out of presenting a lightning talk at conference. This week we hear from speakers and audience members about what they thought of the experience. I get lightning talks and elevator speeches muddled up. Both are fast, to the point, explanatory and self-revealing. Well, that’s the point, isn’t it? To tell us something about yourself that we didn’t know in as short a space of time as possible. However, these two types of presentation are quite different. Everyone giving a lightning talk is restricted to the same length of time for their address and, certainly for the talks I went to, they are accompanied by PowerPoint slides. Whether that’s to help the listeners or the talker, I’m not sure. Elevator speeches, on the other hand, can vary in length – are you going up (or down) ten imaginary floors or just two? – and they need to answer the who I am, what I do and why kind of questions to give the listener a snapshot of the speaker. They’re useful for networking. Lightning talks are ‘snappy, illuminating and gone in a flash (the clue’s in the name)’. They are also seen as an opportunity ‘for novice public speakers to have a go in front of a friendly crowd’. I’m quoting here from the ‘bumf’ from the SfEP 2015 conference, which is the last, and I think, only time I’ve heard them. I don’t remember ‘snappy’ or ‘flashy’, but illuminating, yes, definitely. Of the two lightning talkers who stand out in my memory, both were SfEP members and I knew each of them to speak to. One, I’m mentioning no names, spoke about a former career as a sub-editor on a busy daily paper, an interesting and oblique slant on editing compared with ‘our’ version of the practice. That talk was good fun: there was humour and warmth, and perhaps a tinge (but only a tinge) of regret for the busy lifestyle and close companionship of a sub-editor’s day, now left behind. The other speaker? Well, I confess that from here, two years later, I can’t remember anything about the content of the speech – which is not meant as the criticism it sounds like – 2015 was a bad time for me and my thoughts were often not where they should have been at any given moment. But I do have a clear memory of feelings. There was laughter, yes, and a ready wit, with those wonderful snappy, dry-humour sound bites that I wish I could master. (See, there you are, it was snappy after all.) There was also a feeling of surprise, a dawning realisation of something I had not previously been aware of, and then a strong sympathy or empathy that this person who I knew as witty, confident, clever, was actually, underneath it all, vulnerable. So, lightning talks: as a listener, a good way to find out what makes someone tick, which can be fun, which can be sad, and which, I would think, must take a chunk of courage for someone to undertake, standing there in front of everyone. Exposed, as it were. For the listener, it’s entertaining, informative and sometimes surprising. For the speaker? Well, that’s something altogether different, I would think; wouldn’t you? Two years ago I attended my first ever SfEP conference. And two years ago I was asked to give a lightning talk at my first ever SfEP conference. Was I mad? Yes. Did I enjoy it? Yes. Would I do it again? Hell yes. Now, let’s be honest here. I was petrified. I hadn’t given a talk for years. The last time I really stood up in front of an audience was when I taught a night-class, and that was uncomfortable every single time. But when Lucy asked me to give a lightning talk I said yes because it was only five minutes, and how bad can that be, right? Famous last words. 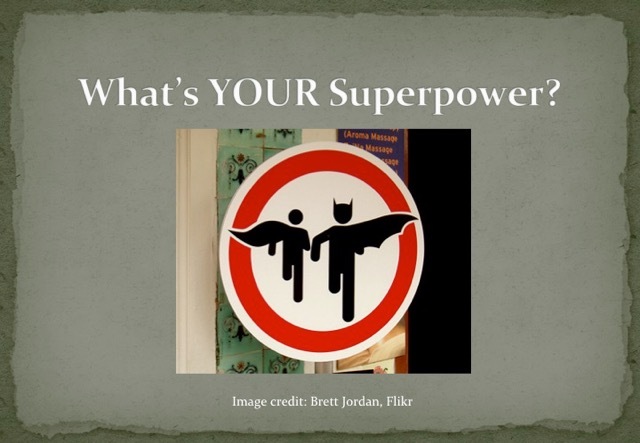 I didn’t really know what to expect, but I sorted myself out, dug out PowerPoint, made slides and wrote up a slightly tongue-in-cheek talk about superpowers. It was the only way to go as I felt I had no right to stand up in front of a bunch of editors and talk to them about my limited editorial experience. When the time came, Kat and I sat together waiting as if for the call to the scaffold. It was her first time too. I can’t speak for her, but I was a nervous wreck. There was a room full of people. All looking at the speaker. All of them. Looking. But you know what, when I stood up there, despite sounding like Minnie Mouse on helium, I think it went ok. People laughed (when they were supposed to). They paid attention. And no one walked out. I was in a room full of professionals and no one heckled, I didn’t pass out and the tech mostly worked. I won’t say it was fun. It wasn’t at the time; it was an adrenaline rush, which is something completely different. But it was a worthwhile experience, and as a newbie it actually got people approaching me afterwards. People said they enjoyed my talk, they liked my blog … they actually knew who I was! From first walking into the room and realising just how many people were in there (I honestly thought there would only be about ten people in the audience) to walking back to my seat afterwards, it was terrifying. But that’s a natural response for a slightly socially awkward, imposter-syndrome-suffering newbie. When I had time to reflect, I realised just how much I’d actually enjoyed it and how useful it was for my professional progression. I’ve done it now, I can do it again and it will be less scary. What surprised me was just how diverse everyone’s talks were. When you are new you don’t know what to expect, but with everyone only having five minutes, the talks crammed in an awful lot of information. It wasn’t boring in the slightest, or preachy, or heavy. Everyone gave an interesting, informative talk without having to pad it out to reach the time limit, and the audience seemed to enjoy the variety. What did I learn that was unexpected? I learnt that I can actually do this. Despite being out of practice, feeling that I didn’t know anything interesting, and being literally scared stiff, I learnt that anyone can get up there and give a short talk. Editors are a lovely bunch who are supportive and attentive, and even the conference organisers and main speakers get nervous. If you are asked to give a lightning talk, for heaven’s sake say yes. If you say no you’ll never realise just what you can do, and a few minutes of the adrenaline rush is so worth it. Don’t let the fear take hold. For those wondering whether to go and see the lightning talks, I’d say give it a whirl. The diversity of talks is stimulating, never dull and often informative. You’re bound to learn something new and it’s a great way to be introduced to new things and new speakers, without committing a whole hour to one subject. 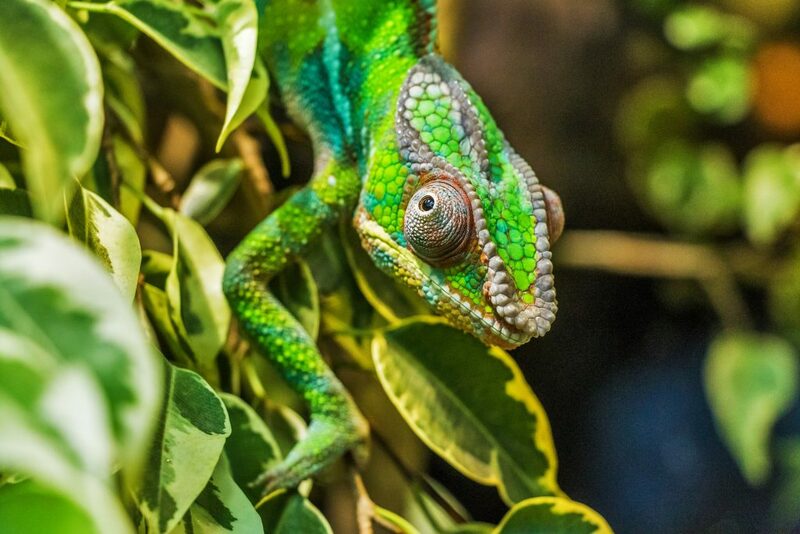 Five minutes sounds like a long time to talk uninterrupted, with a whole roomful of eyes fixed upon you (and not just any old eyes, the beady eyes of editors and proofreaders at that). I was surprised, therefore, when I timed my lightning talk, telling my partner to interrupt me at the five-minute mark. I was rudely interrupted just as I was getting into the flow of things. ‘Time’s up,’ he said, gesturing at his stopwatch. As I looked down at the whole side of A4 I hadn’t got to yet, I realised then that preparing a lightning talk was not a case of trying to fill five minutes, but rather of trying not to exceed five minutes. When I was first approached about doing a lightning talk, I signed up with the airy confidence of someone who is signing up for something months in advance and hasn’t really thought about the implications. As it grew nearer, I became uncomfortably aware that soon, very soon, I would be standing at the front of a room attempting to keep the attention of a rather intimidating number of colleagues. As an editor, I’m no stranger to hacking and slashing things, but as we all know, it’s difficult when it’s your own work. Preparing for my lightning talk forced me to be utterly ruthless – and I actually think it was a nice little challenge in editing too. I slashed and cut and binned and tweaked until I was within the five-minute mark with a few seconds spare. I chose to use a PowerPoint presentation to give my talk some visual context (and only slightly because the thought of everyone looking only at me for five whole minutes gave me palpitations) and tried to make the tone informative but entertaining. Of course, I needn’t have been anxious. As with everything I have done regarding the SfEP, the people were gracious, welcoming and enthusiastic. And what a superb icebreaker when the speaker before me unknowingly used a rather amusing mistake I’d let through in my former life as a newspaper chief-sub as an example of sentences with a double meaning! For the rest of the weekend, I was amazed at the number of people who went out of their way to find me and tell me how much they had enjoyed my talk (which was about my career in newspapers and the challenges of editing a large daily paper). I was also amazed by the diversity of topics discussed by the other speakers, and the different approaches and methods each speaker chose to deliver their lightning talk. One thing was consistent with all of them, though – they spoke with a passion which was infectious and genuine. For me, doing a lightning talk was a fantastic challenge, speaking both as an editor and just in terms of character building. I won’t deny I was nervous, but the sense of accomplishment after more than made up for any nerves. I can’t wait to hear what this year’s speakers have in store for us! There’s always a conference session that I wish I hadn’t missed, and the first lightning talks was one. I forget why I missed it – I’m sure the session I did attend was excellent (as, of course, all SfEP conference sessions are) and maybe I thought I’d seen it all before. I’d first watched lightning talks at a writers’ conference and was struck by this miraculous resurrection of ‘death by PowerPoint’ – each slide was a photo or very short text, bringing the emphasis back to the content and making more of an impact than a string of bullet points ever could. But how would editors handle the challenge? Well, I found out the following year when, somehow, I found myself giving such a talk and discovered it’s where the cool kids hang out. Stylishly compered by Lucy Ridout and Robin Black, it was the highlight of my weekend – after all, who could resist short, enthusiastic talks about subjects as diverse and of as much interest to editorial professionals as Barbara Pym novels, the ubiquity of Aristotle and life as a newspaper sub? My own talk covered my disastrous attempt to learn British Sign Language (spoiler: I failed the exam). I don’t remember being nervous as it was so much fun – more fun than learning sign language, anyway. Here’s a tip for prospective speakers: it’s amazing how fast time goes so I set each slide on a timer to avoid the talk overrunning. Would I do it again? Certainly one day, although I’m already committed to running another session this year. But I am already looking forward to the latest crop of lightning talks, so do join me in the audience, eagerly soaking up our colleagues’ wit, skills and knowledge. Sounds like fun? If you’re interested in doing a talk, please email your proposed title and a one-line summary to editor@lucyridout.co.uk by 28 June. This year we’re looking for talks around the conference theme Context is key: Why the answer to most questions is ‘It depends’. Or perhaps you just want to watch? That’s ok too. See you there? This entry was posted in Conference and tagged conference, lightning talk, public speaking on June 21, 2017 by Sue Browning. By popular demand, lightning talks are making a comeback to conference in September. At a lightning-talk session each person speaks for five minutes, and five minutes only – there will be a timer! The talks tend to present surprisingly personal revelations and excellent advice, along with a few hilarious and blush-inducing ‘confessions’. They are received with warmth and appreciation, and a lot of laughter. What’s not to like? In our next blog post we will be looking at how it feels to be a lightning talker and what it’s like to be in the audience [spoiler: it’s great fun]. But first, Susan Milligan offers her insight and some tips for fearless lightning talkers. Why be a lightning talker? So you’re thinking about answering the call to give a lightning talk at conference. What an excellent idea – you will make a contribution, share your knowledge or one of your passions, and rise to a challenge – and you only have to keep your audience’s attention for five minutes. Such was my thinking when I agreed to give a lightning talk at a recent conference. And so it came about that I found myself watching with detached interest a pair of shaking hands – apparently joined to my arms and holding my postcard notes but otherwise curiously remote from my person. I not only survived the experience – I actually quite enjoyed it. Trying out new and scary things is good for your confidence. Getting your message across within a strictly limited format is a very interesting exercise and teaches you more about concise and effective language than any number of workshops. Write out in advance what you are going to say. How many words do you think you can speak in five minutes? A lot less than you can read. I was surprised to find that around 850 words was my limit, unless I wanted to do an impression of an express train. Even if you are not going to read out your talk – and you’re really not – this will give you a sobering insight into how much you’re going to have to leave out. 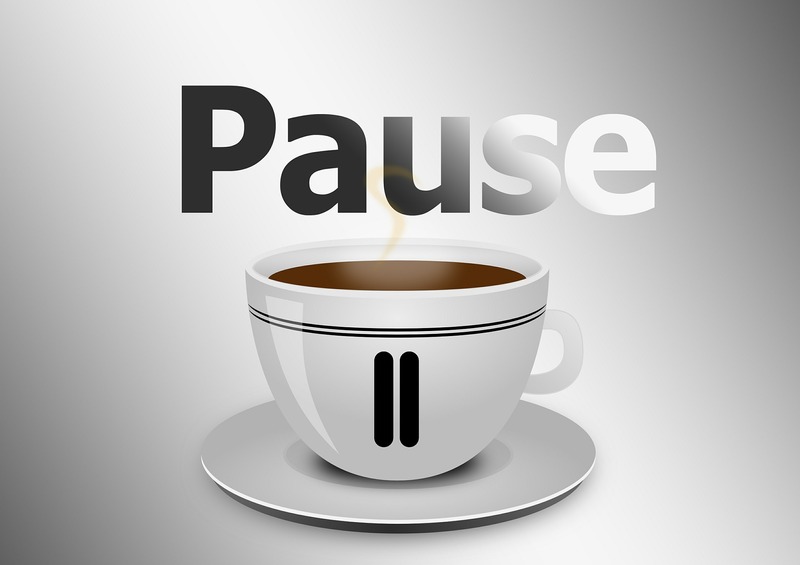 Practise your talk until you are familiar with it, and time yourself so that you know you can do it in five minutes. Do this before you leave home. 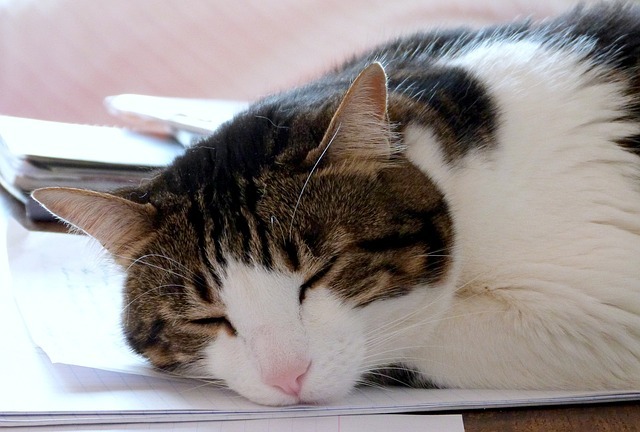 Don’t assume you will find time to do it in your room after you arrive – time at conferences has a habit of vanishing faster than the ice in a warm G&T. Supply yourself with notes in a format that will keep you discreetly on track. I used postcards onto which I had glued the paragraphs of my talk, and I used colours for cues to change slide. Postcards are good as they don’t flap about like a sheet of paper (see trembling hands above). Don’t just rely on your memory, which on the day may leave you in the lurch and go off to a different session, and don’t rely on your slides to prompt you as this will give your brain an unnecessary extra task. Speaking of slides, get in as many pictures as you can. Audiences react more to an image than to words on a screen. You can be inventive and not necessarily too literal. Stand up straight, take a deep breath, look your audience in the eye and smile warmly at them. You’ve already got them on your side and you haven’t opened your mouth yet. (Except to smile.) Keep looking at them and smiling as you give your talk. You will give the impression that you are enjoying it and this will suggest itself to the audience as the natural thing for them to do too. What, is that it over already? That really wasn’t too difficult. Now you can sit back and enjoy the rest of the talks. And the feeling that you really have achieved something today. Susan Milligan joined the SfEP in 2000. She works mainly for educational and academic publishers, academic institutions and administrative bodies. 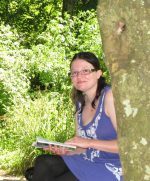 She enjoys involvement in the SfEP Glasgow group, which she helped to start up, and is a mentor in proofreading for the SfEP. If you’re interested in doing a talk, please email your proposed title and a one-line summary to editor@lucyridout.co.uk by 22 June. This entry was posted in Conference and tagged conference, lightning talks on June 14, 2017 by Sue Browning.